Some Cossack-related links – Sing. Dance. Fight. Today brings some Cossack-related stories from various sources, bundled together for your convenience! Russia Beyond the Headlines features a photoset of 19th-century Cossacks: 19-century free-spirited Cossacks captured in photographs. English Russia brings us something more contemporary with photos from a Moscow exhibition of bladed weapons. The many pictures of different types of knife don’t particularly interest me, apart from a few pictures featuring different kinds of Cossack and Caucasian shashkas. 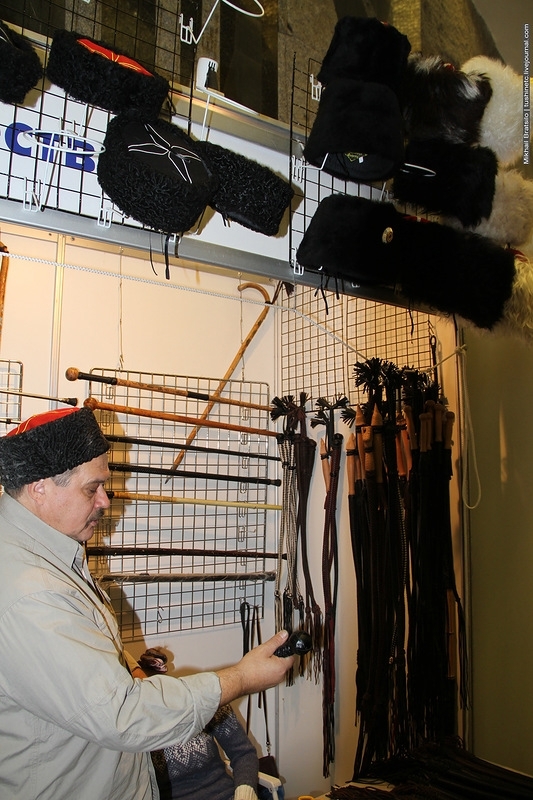 There are some shots, though, of stalls selling various bits of clothing and other equipment for the neo-Cossack revival, which are of interest. Returning to Russia Beyond the Headlines, there’s an article about a Cossack hip-hop artist, Maxim Ilinov. The video doesn’t appear to work, at least on my Chromebook, but it includes some further links to articles about modern-day Cossack culture.